Danneel utilizes Cognitive Behavioral Therapy (CBT) and Dialectical Behavior Therapy (DBT) in her practice and may utilize other treatment approaches as appropriate for each individual. Danneel encourages self-care and self-nurturing activities to support therapy. As a therapist, Danneel provides a non-judgmental, safe environment for individuals to explore their everyday stressors and life concerns and support them in their personal growth. Danneel's primary specialties include working with individuals with anxiety, depression, mood disorders, relationship concerns, self-esteem, assertive communication, as well as those individuals dealing with adjustment to major life transitions such as divorce, relocation and transitioning to college. She also has experience working with individuals who identify as LGBTQ. 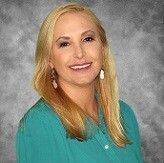 Danneel Hubbell is a Licensed Clinical Social Worker (LCSW) and psychotherapist providing individual therapy to adults in Athens, Georgia. She earned her Bachelor of Science in Psychology from Louisiana State University in 1999, followed by a Master of Social Work from the University of Georgia in 2001. Danneel started her career off in Boston, Massachusetts working with individuals struggling with substance abuse issues, upon her return to Athens, Danneel worked several years in outpatient community mental health with adults providing both individual and group therapy. She also has experience working at an inpatient mental health setting as well as in a local emergency room providing mental health assessments. Danneel began working at Counseling and Psychiatric Services (CAPS) at the University of Georgia health center in the fall of 2007, and in the summer of 2008, she started building her private practice with a focus on adults age 18 and up.